My life is beautiful. Not because it’s been a smooth ride but because it’s been a journey of ups and downs where I’ve experienced emotional, physical and spiritual growth and empowerment. I’ve learned to embrace adversity and to IGNITE the power of perseverance. Life began simple as a child. I grew up on a farm and in a loving Christian home. Foundations were built and family value was set. I was the kid in advanced classes, teachers pet and got along with everyone. Graduated with honors, embraced college and 4 years later entered the marketplace with degree in hand. In 2013, I turned 40. For many, they perceive that as a turning point in their lives, but my turning point started much sooner. In 2004, at the young age of 30, I was diagnosed with a rare form of non-hodgkins lymphoma. I sat in the office as the doctor bluntly and without blinking an eye, told me I had cancer. I wiped away the last tears, took a deep breath and decided at that very moment, I was NOT going to be the victim, I was going to be the VICTOR of my circumstances. Surgeries and many painful tests later, I found myself cancer free. Praise God, I have been in remission for 10 years now. Despite everything that appears painful, I can say living through cancer was a blessing as it opened my eyes to what was important in my life and it strengthened my faith. I took a walk of faith and I would never walk in fear again. A few years later, I was blessed with my beautiful daughter, the love of my life. But with motherhood, I revisited another struggle, my weight. My battle with weight actually began during my childhood. Then in college, I would develop an eating disorder known as binging. Behind closed doors, I would sit and eat thousands of calories at a time, as if I couldn’t control myself. I would ask myself, “What is wrong with me?” Food was my stress relief and my emotional crutch. The way I celebrated and the way I was comforted. After my daughters 1st birthday, I painfully went through a divorce. One night, as I tucked my baby in bed, I fell to my knees crying uncontrollably. “THIS IS NOT MY LIFE”, I cried. Cancer and now divorce? I quit asking WHY a long time ago, so I started asking God…WHAT IS MY PURPOSE? Have you been there? Have YOU ever asked the question? A few months later, I decided it was time to live out one of my dreams. I had loved the sport of bodybuilding for over a decade and now I wanted to step on stage and compete. See, even though I battled my weight, I tried many times to achieve this goal only to fail over and over. One time I got so close only to become ill with kidney stones. The next time I tried, I was diagnosed with cancer. I felt it just wasn’t my destiny. But God told me…this was now MY TIME. After much prayer, it was time. 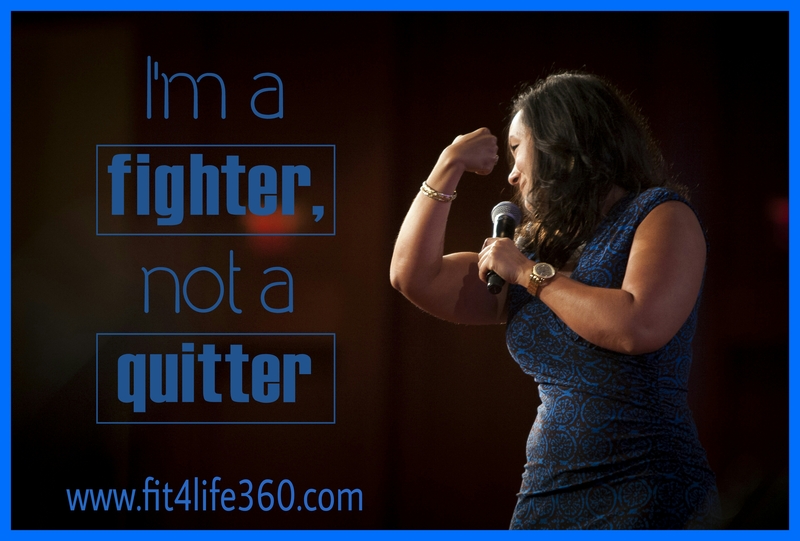 So while going through a divorce and raising a small toddler, I dedicated 5 months to dieting and rigorous training, I lost 44 lbs, and at the age of 36, I stepped on stage for the first time. I was emotionally, spiritually and now physically strong. I’ve since competed several more times and I discovered there was absolute power in sharing my story. I was being called an inspiration and a motivation for this body that once pained me. I’ve been blessed to reach and minister to people by sharing my story in publications internationally, as well as through my own fitness website. Was THIS my purpose? Life is going to be A-MA-ZING…one day at a time! In 2009, God called me into ministry. I wanted to affect people’s lives, especially the lives of young children. I became founder and director of a charity for babies in need. I poured my heart and soul into this ministry and I discovered that God doesn’t call the qualified, He qualifies the called. A lesson that will forever feed my faith. In 2011, without any prior acting experience, I was accepted into several talent agencies and found myself on TV. I’ve since had small appearances in several shows, regional and national commercials. Again, I asked God…WHAT IS MY PURPOSE? 2012 marks the year God began to answer me. In June, after 18 years in the banking industry, and surviving 3 mergers, my entire department was displaced. The day the news came, my only thought was GOD IS IN MOTION. I wasn’t met with fear and anxiety, but with anticipation of opportunity. Why? Because I knew my passions had changed over the years. I started fitness coaching and what I discovered is that not only was I coaching people’s physical needs, I was coaching their lives. I also help to start the Singles Ministry at my church so that I could minister to others. This wasn’t the final answer though. I battled 3 years of being virtually unemployed. Two of which I brought in minuscule earned income from various jobs from personal training, speaking, meal planning and prepping. I was living off of depleting savings and totally living on faith as I ran my household and raised my young daughter. Everyday waking up, knowing in my spirit…that there was MORE. Many times, coaching pro bono, feeling in my spirit that was what God was asking me to do. If I answered his calling, I believed he would provide and sustain me and my household. And He did. Time and time again. Again, I asked God…WHAT IS MY PURPOSE? During those years, I was introduced to the John Maxwell Team certification program. In pursuit of certification, I realized THIS IS MY PURPOSE. I am now a Motivational Coach in various disciplines. I’ve been blessed to pursue various ministries, motivational life coaching, fitness and weight loss coaching and safe and proper handling of firearms. My life’s work is to EMPOWER others through various programs…to pour my knowledge and experience into the lives of others, so that they can discover fullness of life, with passion and purpose. Wow. Look at your transformation!